On October 24, 2018, the Trade Representation of the Russian Federation in Sweden took part in a seminar organized by the Swedish Chamber of Commerce for Russia and CIS dedicated to the 50th anniversary of the Chamber of Commerce foundation. 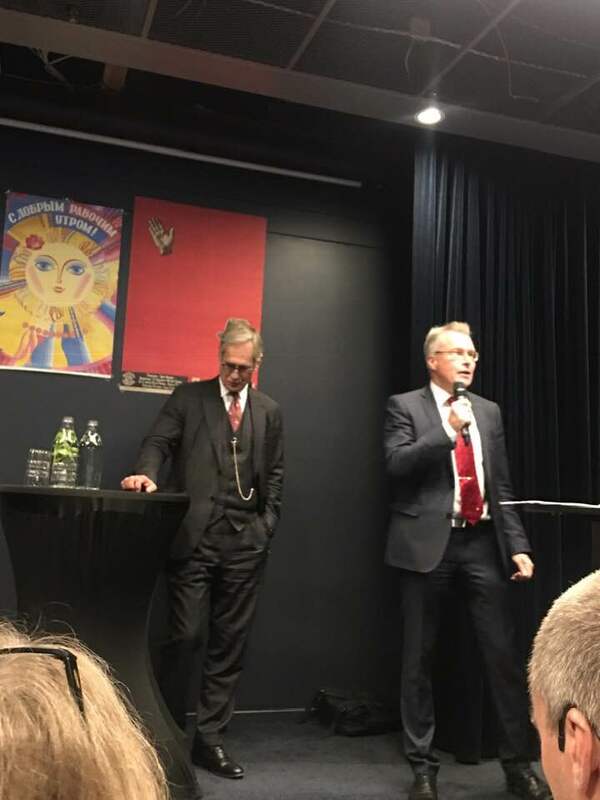 The seminar brought together a large number of businessmen, representatives of Swedish government bodies and public organizations, as well as journalists, whose activities are directly connected with the Russian Federation and the CIS countries. In total more than 80 people. The main event of the seminar was a panel discussion, which raised various issues of bilateral trade and economic relations. The participants of the discussion expressed various suggestions for establishing more dense and effective business contacts between the Swedish and Russian participants of foreign economic activity – from the need to integrate Russia into the European Economic Community to solving problematic issues related to the low level of organization of small and medium enterprises in Russia, the presence of corruption and low legal protection of private property. According to the general opinion of all the participants of the discussion, it is necessary to increase the awareness of the Swedish business community about Russia and the existing investment opportunities in Russia in order to develop mutually beneficial bilateral trade and economic relations.